Home › Christian Life › What Do You Believe? 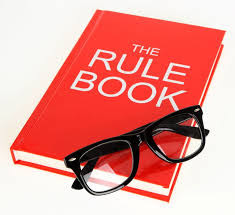 Jen’s Gem: Throw out the rule book! Recently, I attended movie night at my church. The film we watched was called, “Do You Believe?” Afterwards, many of us noted how powerful the movie was and honestly, it took me quite some time to process what I’d seen. The premise was simple. The pastor of a church, having been confronted with this question by a passerby, challenged his congregation to do the same. Through a series of intertwined and complicated events, each person is tasked with discovering their own faith and relationship with God and His Son Jesus. Growing up, my relationship with God was based in fear. If I didn’t do everything right, I would be cast into hell. The only thing I knew was to follow the rules and regulations of my religion. If I was successful, all was well. If not, well – I was off to a priest behind a dark curtain to confess and do my penance, which typically consisted of reciting memorized prayers that honestly meant nothing to me. System. Principles. Procedures. Sounds like the words in my computer programming textbooks from college! Let’s look at a definition of relationship: “the way in which two or more people or groups regard and behave toward each other.” Wow – doesn’t this sound so much better? Can you imagine embarking on a new friendship and stating from the onset your rules for being friends with you and the consequences for breaking those rules? My sense is, that friendship wouldn’t get past the first cup of coffee! He came to shake things up – to wake people up to something new. Throw out that rule book and follow Me. Do what I do, speak how I speak, act how I act – that’s the ticket. This is how you live the amazing life I’ve planned for you. This is how you have peace, joy, wisdom, and so many more blessings, it’s mind-boggling. 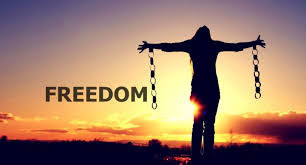 times, it’s also incredibly freeing. I’m discovering truths that have opened my eyes to a whole new way of life for me and my children. Because of this, I’ve been a witness and a recipient to blessings beyond comprehension for all of us and I can’t wait to see what else unfolds as I continue this path. I’m currently reading a book by Kenneth Copeland, “The Blessing of the Lord: Makes Rich and He Adds No Sorrow With It.” I highly recommend this book to anyone who is searching for the truth about who Jesus is, what He has planned for you and your life, and how you can begin living this life today. This week, I’d like to encourage you to ask yourself what you believe and what kind of relationship you want to have with God. If it’s not what you want, you can change it. There are no rules. Do You Need a New Pruner? ‹ Do You Need to Be Committed?